A group of senior advisors as well as a group MPs belonging to the United National Party (UNP) have launched a campaign against Ravi Karunanayake and are planning to request party leader Ranil Wickremesinghe to sack Karunanayake from the post of Deputy Leader of the UNP and his position as head of the Rural Infrastructure Special Programme, Colombo Telegraph learns. 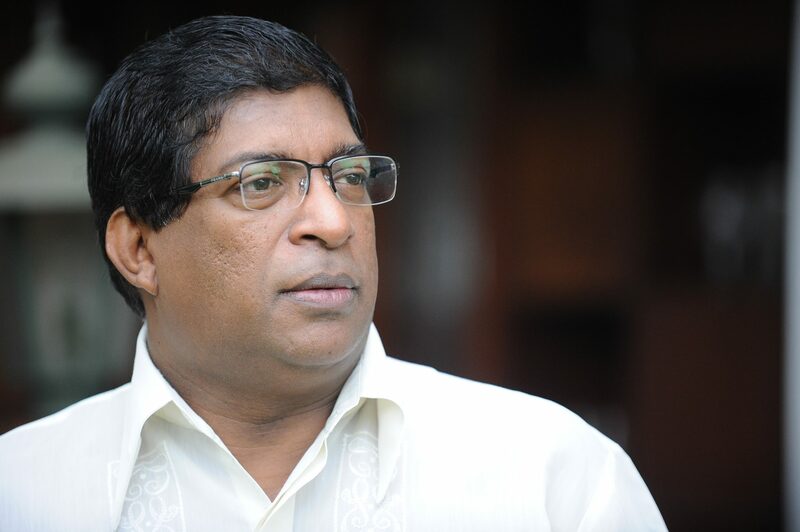 The call is for his removal for the offense of perjury, for Karunanayake has lied to both the CoI and to the Prime Minister. Conviction for other wrongdoings will have to wait on legal proceedings. These moves appear to have been precipitated by President Maithripala Sirisena’s announcement last evening (January 3) regarding contents of the report submitted by the Presidential Commission of Inquiry into the Central Bank bond issue scandal (CoI). The Commission report refers to the allegation against former Finance Minister Ravi Karunanayake regarding the payment of rent for the penthouse apartment and stated that Karunanayake was responsible for that and recommended that the government should to take necessary action against Ravi Karunanayake under the section of bribery and corruption and further legal action under the penal codes for giving false evidence at the Commission. Wickremesinghe earlier told the CoI that he believed that Karunanayake was telling the truth when the allegation was first made by MP Mahindananda Aluthgamage. “I asked him ( Karunanayake) about it and he said no. There was no reason to go further”, Prime Minister Wickremesinghe said in response to a question posed by Attorney General Jayantha Jayasuriya. Ranil & the clan must be sacked unless president must be impeached for his lack of courage. sandwiched between JO & Ranil? The Pres is no math to the cunning PM. The PM stays as PM. Period. This will be the best thing to happen to the UNP. He has ruined the UNP reputation by associating with the underworld gangsters and bring them into Municipal Councils and politics in general. 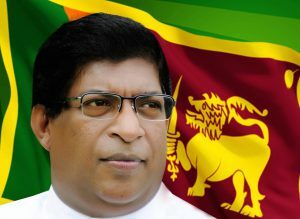 UNP grow a backbone and do what is right for the party we will stand by you. Yes, take Ranil to sack Ravi as that’s the best thing for the UNP & find someone to sack Ranil as that’ll be the best for the people of the country. Without those corrupt only the UNP can regain its backbone. Ranil has not done anything good for this country. He destroyed the country, also destroyed UNP. He should be removed by MR now the same way CBK did in 2001. We lost all confidence on him and his parliament. “Ranil has not done anything good for this country ……he destroyed it and the and UNP…….. should be removed by MR now the same way CBK did in 2001”.? But how can MR do that? I think you have got your knickers twisted. MR is not President now to remove him like CBK did and besides that, don’t you know that Ranil & MR scratch each other’s backs? Whose side are you really on Booruwa? Do you really thin justice will be servrd? For justice to be served: Cabral should be held accountable. It is the procedures in place that Mahendran followed. There is no justice system in a culture of impunity. The elected politicians enjoy tremendous perks and pensions with very little participation in the Parliament; they are set for life. This seems to be the main purpose getting elected to parliament. Forget justice.The culture has to change first. Do you really thin justice will be served? lioncar1, I share your concern. Looks as if some justice (not full justice) will emerge at last. That will be a good start and that is why I plead patience. Ravi was born culprit of very inceptions of politics of UNP? That is political eligibility for UNP leadership! He became Vice President of UNP by help and support from Ranil Wicks, Dr Navin Dissnayake and Dr Karu Jayassoirya most notaries Speaker in current the politics of Parliamentary in Ceylon/Sri lanka? The known rough is batter than unknown rouges for the UNP. All politicians who have been proved to be corrupt, should face severe consequences. The question is why is only Ravi K. being picked on? The previous regime, and many in the present lot, have also got away with ill gotten gains. How about holding them accountable too? Ravi lied in his answer and what follows is his resignation as a minister. scale of damage at a crucial point of time . What’s happening instead ? lead such a government ! Percy, Don’t insult the prep boys because you are from Royal. The prep boys are very successful and great gentlemen unlike you stupid Royalists. We don’t seek cheap publicity like you Royalists but shun cheap publicity as we have good manners and discipline. The successful prep boys are many – K.N.Choksy, Krishan Canakeratne owner and founder of Virtusa, Ruwan Wijewardene, Sajith Premadasa, Navin Dissanayake, Rajan Anandan (MIT and Stanford educated and current MD of Google India and Far East), Dr Hilali Noordeen of Harley Street and former President Oxford Union, leading doctors, engineers, lawyers etc..
Royalists are a commodity but Prep boys are a branded niche product. We show grace, elegance in all what we do. Regarding Aswin De Silva, I responded to a comment. So, please know your facts before you judge the prep boys. schools in every province . There are about half a dozen in Galle . UNP is throwing out Underworld gangsters from the party to clean up and stand a better chance at winning future elections. Bond Ravi is a cures to Sri lanka.